Is your reading list always growing? Keep track of your books all in one place with this custom designed, spiral bound Reading Journal for Book Lovers. Are you a book lover with post-it notes scattered everywhere, filled with book titles? Do you often forget if or when you read a particular book, or your thoughts on it? Are you looking for a pretty space to keep track of what you’ve already read, and what you’d like to read? - 12 Monthly wrap-up journal pages - 1 page for every month of the year! - 12 "To-read" list pages - 1 page for every month of the year! When you purchase this spiral bound book journal, you will receive this bonus: a set of 2-sided custom designed bookmarks printed on high-quality glossy stock. Are you ready to get more out of your reading experience? 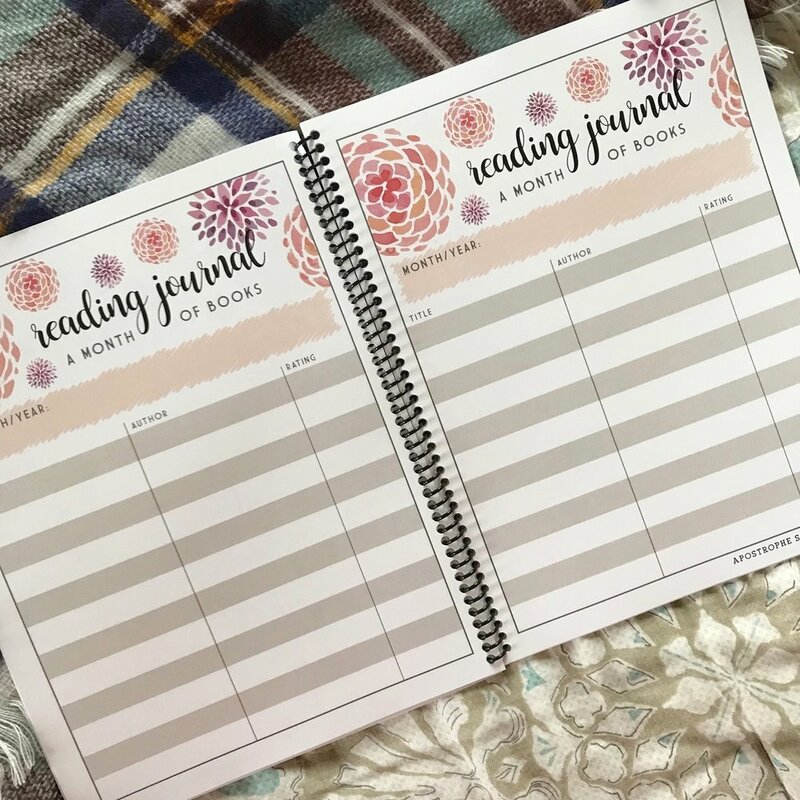 This book journal will help you stay organized, keep track of what you are reading and what your thoughts are, as well as plan for future reading goals!